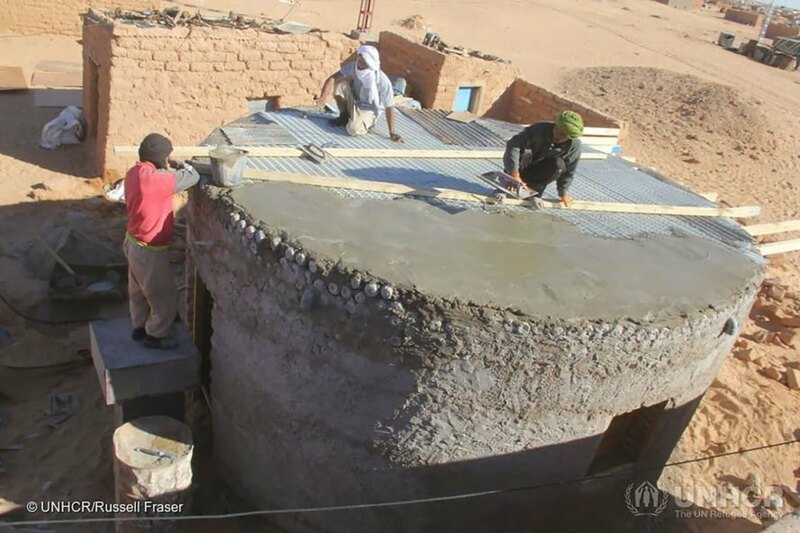 A Sahrawi refugee in Algeria is rebuilding lives – literally. 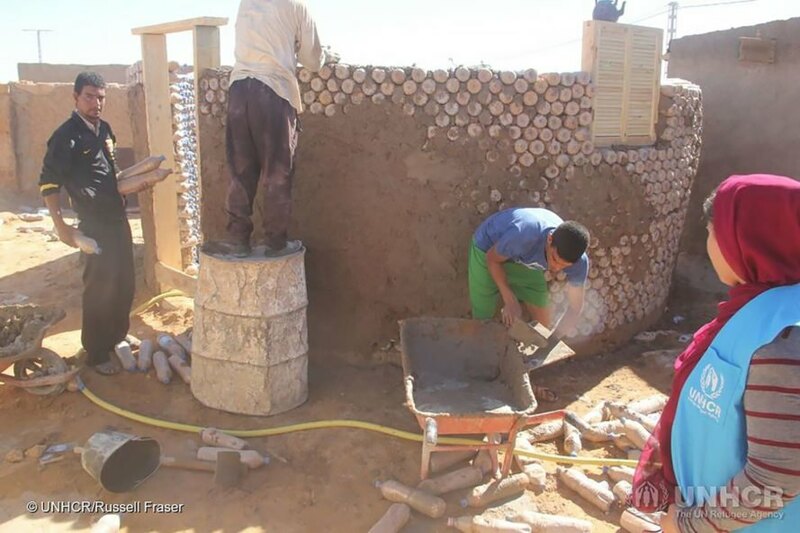 Born and raised in the refugee camp in Awserd near Tindouf, 27-year-old Tateh Lehbib Breica is constructing disaster resistant homes using discarded plastic bottles – for himself and others. These recycled homes are specifically built to endure harsh desert conditions for an affordable price. It’s no easy feat to construct homes in a climate where temperatures can spike to around 113 degrees Fahrenheit. Sandstorms also prey on refugee shelters in five camps near Tindouf, Algeria, where people live after fleeing violence in the Western Sahara War over 40 years ago. But the area also faces destructive rainstorms – in 2015 heavy rains wrecked thousands of homes. Breica may have found a solution in old plastic bottles filled with sand. He has a master’s degree in energy efficiency after participating in a United Nations High Commissioner for Refugees (UNHCR) scholarship program. He’d intended to build a rooftop garden, growing seedlings in the bottles, but the circular shape of the energy efficient home he was building posed a challenge to that idea. He wondered what he could do with the bottles instead and recalled a documentary on building with plastic bottles he’d seen during his time at university. The plastic bottle homes can better withstand storms than adobe, mudbrick, or tent homes, and are water resistant. The homes have thick walls, and partnered with their circular shape, stand up better to sandstorms. Breica built the first bottle home for his grandmother, who was hurt while being carried to a community center to hunker down during a sandstorm. Working with UNHCR, Breica has built 25 homes so far. 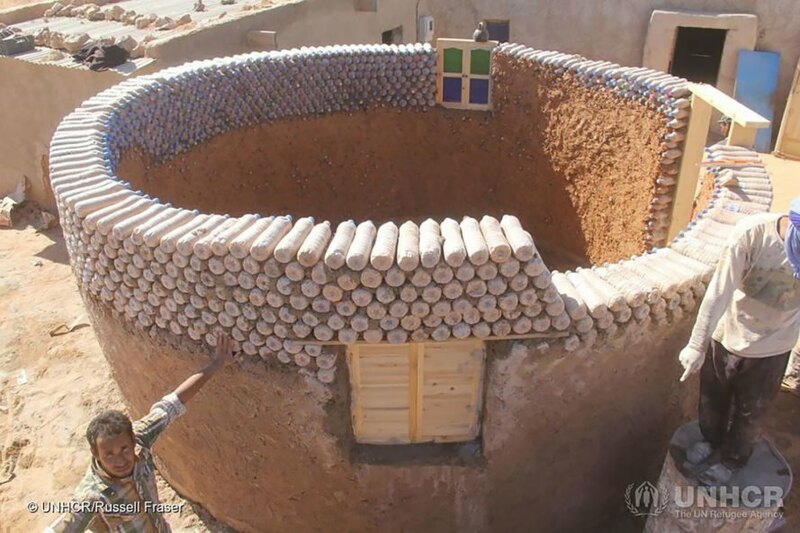 A 27-year-old refugee is erecting shelters made with old plastic bottles. The plastic bottle shelters are more resistant to rainstorms than mudbrick or adobe dwellings. The circular plastic bottle homes are also built to withstand sandstorms. Breica has built around 25 of the homes so far.